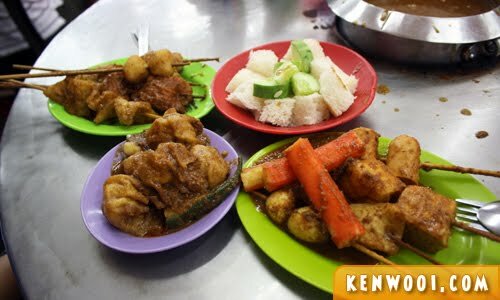 As we Malaysians already know, Malacca is known for its local delicacies and one of them is Satay Celup. 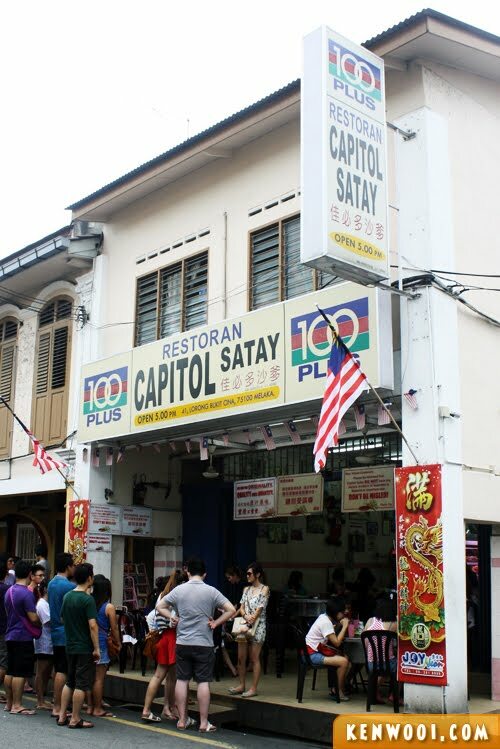 Even though there are several Stay Celup places to go to in Malacca, the most popular one has to be Restaurant Capitol Satay Celup. I’ve never been there before… until this trip. 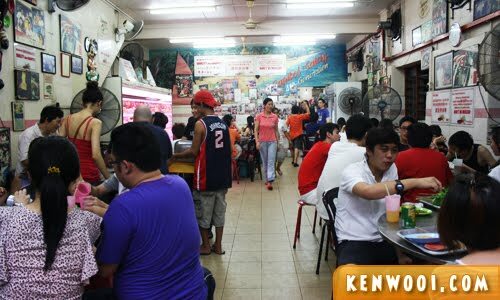 With all the hype that’s going around about Capitol, I’ve always wanted to try out the Satay Celup over here. Yes, a queue. A super loooooong queue. That’s the only down side to dining here. This place is infamously known for being crowded. 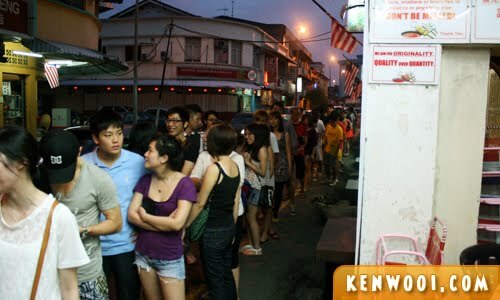 Customers have to queue along the road and wait patiently for their turn. Feeling determined, we joined the queue. Surprisingly throughout the wait, there were people who gave up and left the queue. Some even opted for a nearby Satay Celup restaurant which has practically no customers. How long did we actually waited until it was our turn? By the time we reached the entrance of Capitol, the sky was already dark. I can’t believe I passed the test of patience, all for the sake of some skewered food with peanut sauce. 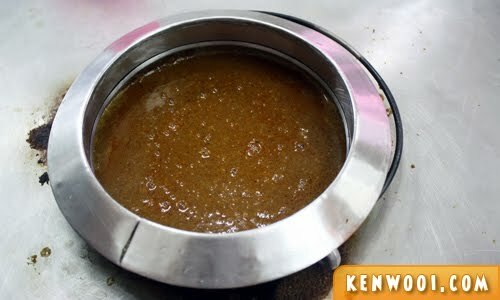 Nevertheless, we got to our table and the waiter prepared a fresh bucket of sauce with scoops of peanuts, brown sugar and some herbs and spices. After that, time to pick the food from the fridge! At Capitol, there is a wide variety to choose from. 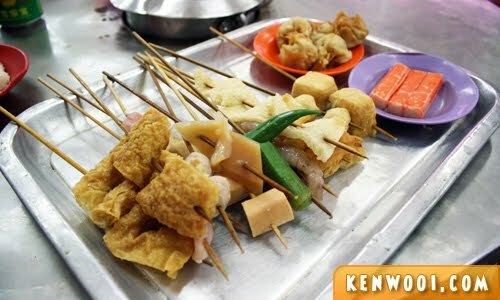 The skewered ones cost 90 cents each, whereas the ones in plates cost differently according to the colour of the plate. What comes next is very simple – just dunk them into the boiling sauce and let them cook. It’s fun to dip in as many as you can, but make sure it’s manageable. Some pieces soften and may slide off the stick. A few minutes later, the food is cooked and is ready to be served. So after the long wait outside, this IS the moment. It’s time to… EAT! And you know what, it only took us about 15 minutes to gobble up the food we took. We were hungry, and the aftermath got pretty messy. Once we’re done with the meal, I personally think that it’s… just okay what. I know that everyone has been saying that Capitol’s Satay Celup is must-try, best ever food and whatnot, but I don’t think I’ll go back for another round. 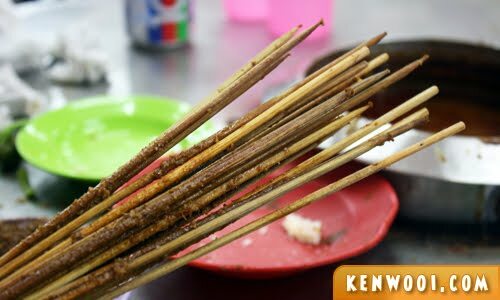 Anyway, some say that no visit to Malacca is complete without a taste of the popular Satay Celup. But I beg to differ. 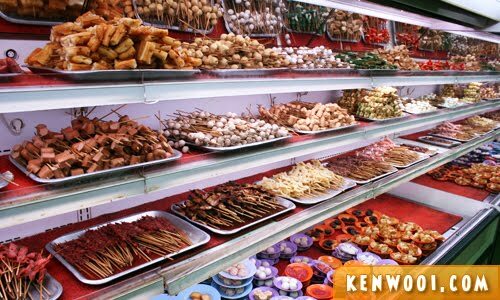 how is it compared with Penang lok lok? Hi! 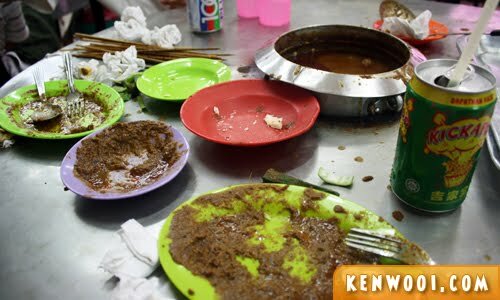 I from Malacca, I don’t like Capitol Satay Celup *most of the Malaccan don’t prefer Capitol Satay Celup too*. It’s not worth it to queue such a long hour and when u got your seat, u find it’s quit stress when others who are still queing, stare at u when u stop norming and start talking with your friends >.<", and it taste is actually so so only *for me*. 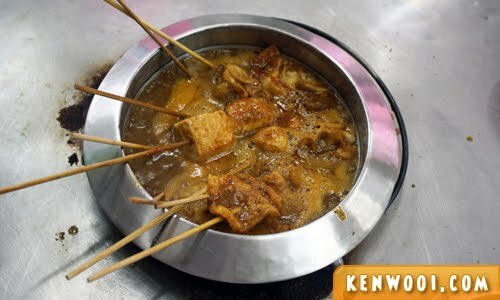 Why not try up "Ban Li xiang Satay Celup" at Jalan Ong Kim Wee. Not bad although they did not serve big prawns. =) Price is reasonable too. Patiently wait.. But I thk not worth for the wait, as almost the same taste everyshop..
LOL…you went on a weekend leh…sure jam pack one. But still nice la. Did u get the big prawn, abalone? Is it halal. Please give description the ingredient and kind of food. Hi Aan, I don’t think it’s halal.